We guarantee the best price for the sightseeing HOP ON HOP OFF BIG BUS Tickets in Budapest. 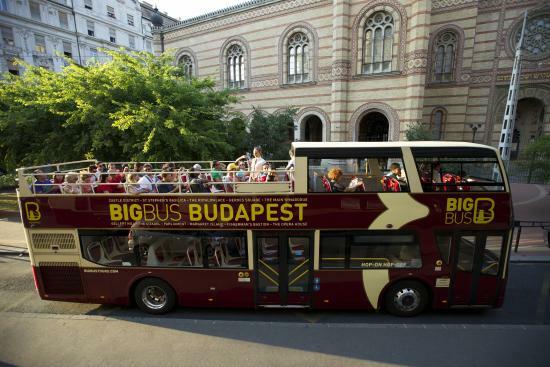 Budapest BIG BUS bus tour is the ideal introduction to one of Europe’s most beautiful cities. 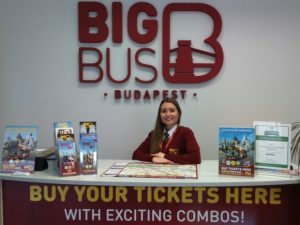 The hop-on, hop-off tour highlights the most famous Budapest attractions, including the Hungarian Parliament building, leafy Margaret Island and the Grand Synagogue, which is the second largest in the world. 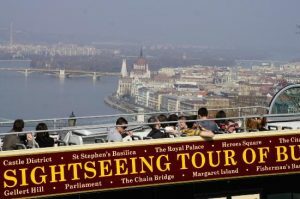 The tour commentary will provide you with an insight into Budapest’s fascinating history, as you take in the city’s cultural landmarks from comfortable open-top buses. It takes you to take your time exploring this magnificent city so your ticket allows you to HOP-ON and OFF as many times as you like, enabling you to create your own itinerary and discover the attractions which interest you most. There are a range of ticket options available, including a 24 hour ticket which includes a second day free, the night tour, a Danube river cruise and walking tour. If you’re looking for things to do in Budapest, The BIG BUS sightseeing tour is a must to do. Find out more about what tour highlights you can expect to see on your Big Bus Tour today. HOW TO BOOK THE TICKET?